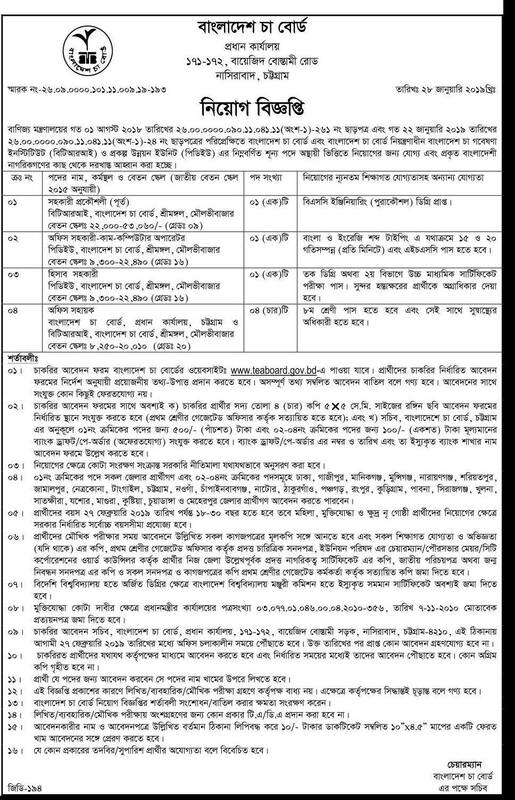 BANGLADESH TEA BOARD JOB CIRCULAR. BANGLADESH TEA BOARD JOB CIRCULAR 2019.The Bangladesh Tea Board has recently published the circular for the recruitment of seven people in 4 posts. According to the declaration, you can join the subject to meet the eligibility of the post. Apply for post from 28-01-2019. It can be submitted from 27-02-2019.